Discussion in 'The Golden Era' started by Fletch, Oct 20, 2009. 82yo Bill Crawford grew up in Cleveland as the son of a private pilot and promoter. Now he has come forward - not for the first time! - as the original juvenile balloonist. And there is no hoax involved! In 1931, Bill's dad, a dentist by trade, got the idea to put the boy, then 4, aboard a helium-filled captive balloon as an attraction at local events. The youngster had no fear of flying and even attracted the attention of Fox Movietone News. Every ascension cost the Crawfords $30 - think $350 today - but the stunt paid off well enough to make the family a profit. 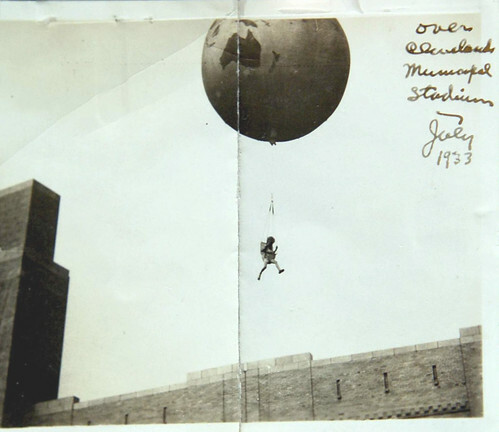 Then one day in July, 1933, came the inevitable...the balloon's tether let go. 6yo Bill went into free flight over Cleveland Municipal Stadium - and out! - to the gasps of the crowd. Crawford went on the old Ripley's Believe It or Not! TV program in 1982 with newsreels of his stunt, but the current generation is now discovering him anew. Haha, thanks for that Fletch! Very current in a vintage context. A judge ought to throw the book at the Heenes. At least that "Balloon Boy" was for real thanks Fletch. Make sure that book wacks their liar.. I mean lawyer when it is thrown.. ...I did not know that! flight over Long Beach, CA back in '82. He became quite a celebrity for fifteen minutes. 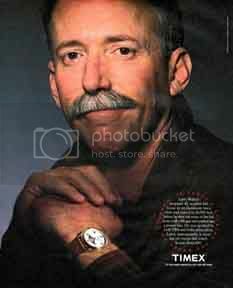 I saw him on Letterman's old show and in fact a wristwatch ad campaign was built around him. Sadly, he lost it all in 1993 when he inexplicably took his own life. That little man had the ride of his life, I imagine! How fun is that? And it wasn't a premeditated publicity stunt! Little Bill doesn't appear frightened in the photos - It's a charming story, although it must have scared everyone out of 10 years growth at the time.